A versatile mix of Super Kid Mohair and Silk which can be cleverly adapted to create a lustrous, cobweb like finish of knitted double to create a fabric with more substance. Combine 1 strand with a novelty yarn to create a soft, beaded look. Fyberspates Cumulus Yarn is a similar yarn: hand wash and 25 gram. You may also like Shibui Knits Silk Cloud Yarn, which is another similar yarn: mohair, hand wash, 25 gram. What about yarn that have the same look and feel? Find more yarn with a soft halo, hairy and airy texture. You may enjoy taking a look at the Rowan Kidsilk Haze & Kid Classic Herfst Avond Wrist Cuffs, Rowan Kidsilk Haze Rich Pullover, and Rowan Kidsilk Haze Katrina Shawl kits all using Rowan Kidsilk Haze Yarn. 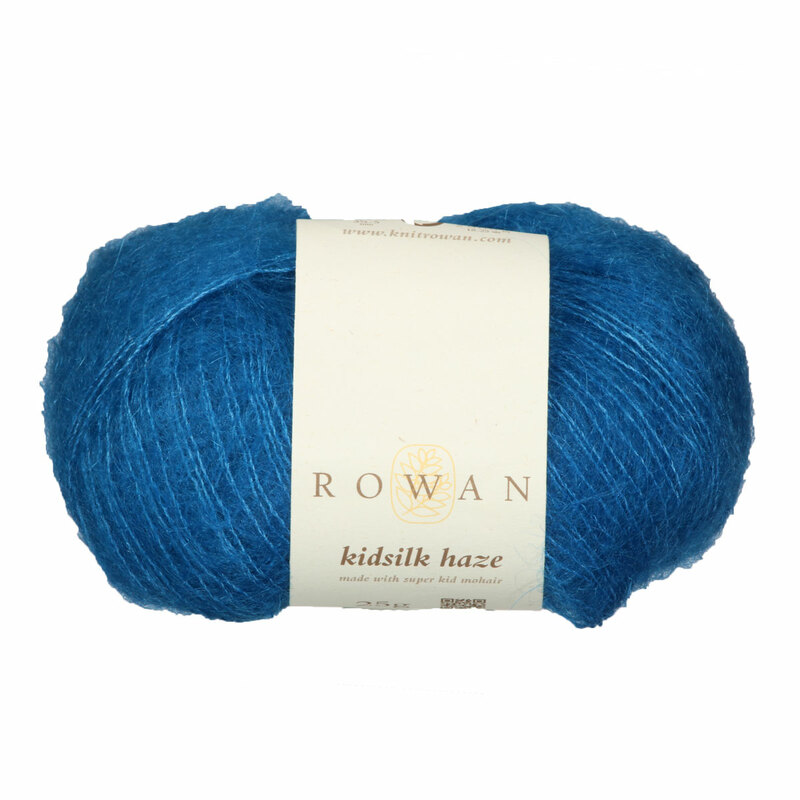 Hopefully our suggested project ideas for Rowan Kidsilk Haze Yarn can help you come up with your next exciting new project idea!